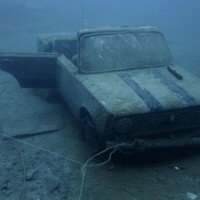 I’m sure that before you starting reading this post Russia never came to mind as a place to go dive. Sure it will never be a mass market dive destination, but I’m sure it will grow as one of those destinations that is the scuba equivalent of backcountry. You might need a spirit of adventure to consider it as your next holiday destination, but isn’t that what diving is about – Adventure. 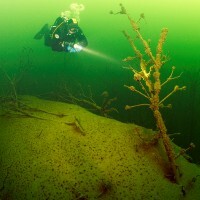 With the help of our Russian Distribution Center we’ve complied 5 dive sites in Russia that are worth checking out if you’re a visitor or a local. I’m certainly going to check one of these out if I get the chance. 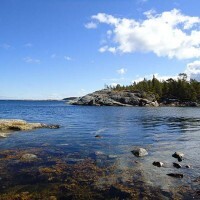 The White Sea is an internal sea in the north of the European part of Russia. It belongs to the Arctic Ocean. 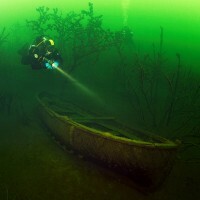 Diving in the White Sea is an immersion into an absolutely different underwater world. The water is extremely transparent and is rich in specific White Sea fauna that belongs to a boreal type. The surface of rocks is covered with soft corals, actiniae, sponges, ascidians, and hydroids. Starfishes, brittle stars, crabs and shrimps wriggle along in cracks of rocks and between the stones. 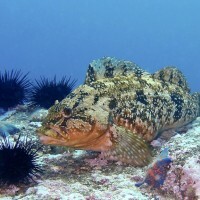 Such fish species as a sea perch, a catfish and a flounder can be met here. You can see graceful nudibranches, crayfish eremites, large volute carnivorous mollusks of the White Sea – Neptunea and Bukcinum, and the rarest brittle star with an exotic name – Gorgona’s (Gorgonocephalus) Head. 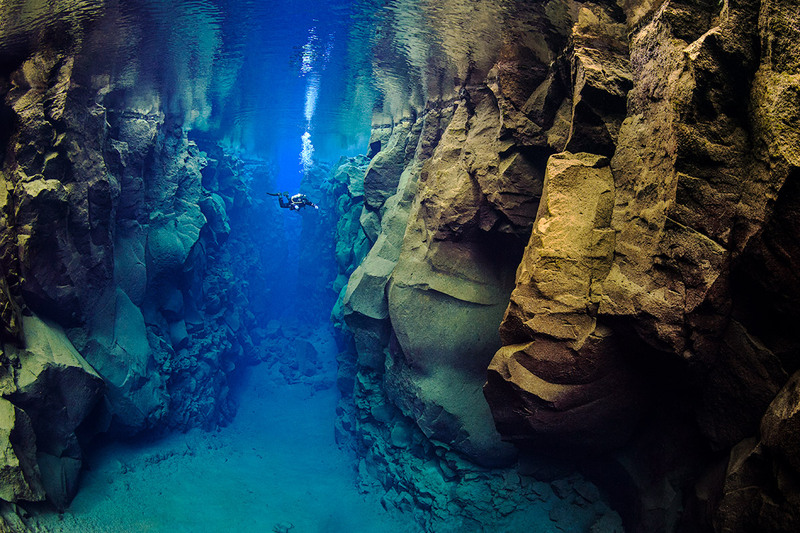 Depths The inmost depth of the sea is 340 meters, the average — 67 meters. Water temperature Depending on a season, temperature of an active layer varies in different parts of the sea. 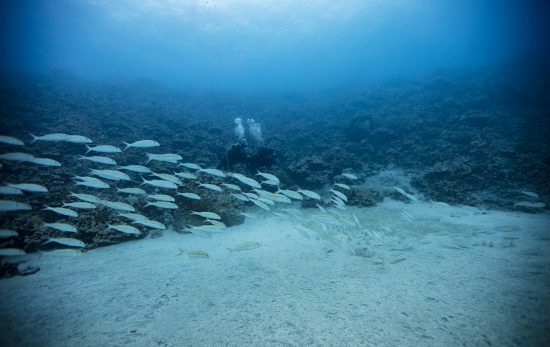 In summer the active layer of the gulfs and the central part gets warm up to 15-16 °C. In winter temperature of the active layer goes down to − 1,3 – 1,7°C in the center and in the north of the sea, in the gulfs — to −0,5 … -0,7 °C. 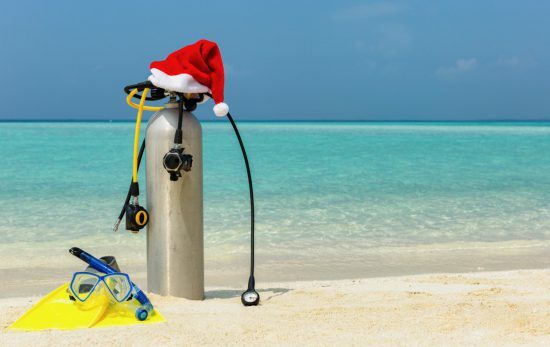 Scuba gear Most dive centers and resorts offer full equipment hire. The Sea of Japan is a peripheral sea of the Pacific Ocean. It is located between the continent of Eurasia, the Korean peninsula and the islands of Sakhalin, Hokkaido and Honshu. Russia, Japan, Korea are washed by this sea. Climate of the Sea of Japan is moderate and monsoonal. The northern and the western parts of the sea are much colder that the southern and the eastern. In the coldest months (January-February) an average air temperature is -20°C in the northern part, and about +5°C in the southern. The summer monsoon brings warm and moist air. In August, which is the warmest month, an average air temperature is approximately +15°C in the northern part, and about +25°C in the southern areas. Though typhoons, caused by hurricane winds, increases in the fall. The largest waves have height of 8-10 m, and at typhoons the maximum waves reach the height of 12 m.
The underwater world of the northern and southern regions of the Sea of Japan differs dramatically. In cold northern and northwest areas the flora and fauna is formed by mid latitude type. 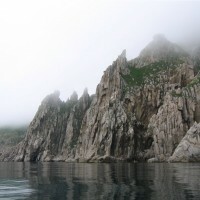 While the warm-water faunal complex prevails in the southern part of the sea, to the south from Vladivostok. Warm-water and mid latitude fauna are mixed near the Far East coast. There are octopuses and squids, which are typical representatives of the warm seas. 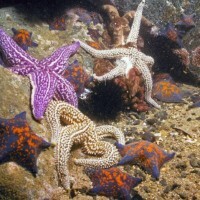 The Sea of Japan has a huge abundance of starfishes and sea hedgehogs of various colouring and of different sizes. There are brittle stars, shrimps and small crabs (the Kamchatka crabs can be seen only in May, and then they go further to the sea). Bright red ascidians live on rocks and stones. Scallop is the most widespread mollusk. Such fish species as blennies and sea scorpions are met here. Diving with seals can be very interesting. 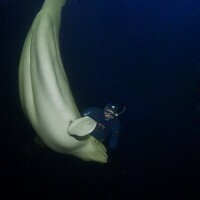 Dives are usually carried out at the southern part of the Russian coast – to the south of Vladivostok. 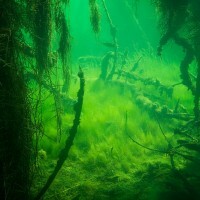 Visibility Visibility in diving sites is about 30 m.
“Lazurny” is one of the best reservoirs in Russia. The pit has an oval form and is extended from the north to the south. The inmost depth in the northern part is 66 m, the maximal water transparency is up to 30 m.
Accesses to the water’s edge are in the northern and the southern parts. The reservoir shows stable and high water transparency practically at any time of the year. It differs by beautiful underwater “wood” in its southwest part and it allows to carry out dives of almost all the specialties. 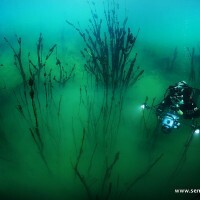 Visibility Visibility in diving sites is about 10-15 m.
One of the most attractive places of the near abroad is Pit Yantarny – the first and the only place in the world where amber was extracted industrially. After closing the pit was flooded, having turned into the artificial lake with the area of 2,5 sq.km and the depth up to 30m. There are a wood, a light railway, certain building and technical constructions under the water. Pit Yantarny attracts by its permanently excellent visibility (10-15 m) and by opportunity to find a piece of amber as a souvenir. The pit is separated from the sea by a narrow strip of a land. The peculiarity of a pit is the existence of two thermo clines – it’s when warm and cold water layers don’t mix up. 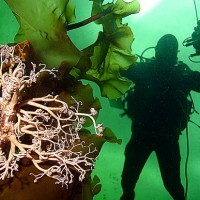 At diving the top part of a body is still in warmth while feet are already cramped from cold as the difference of temperatures can be up to 10 degrees. 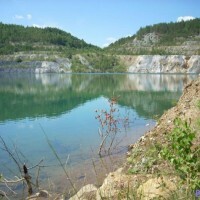 In 22 km from Moscow on Shchelkovskoye Highway there are two dolomitic pits set in a picturesque place. They border with a local forest district. 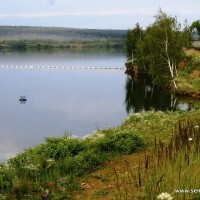 It is in 3-4 km to the northeast from Shchelkovo, on the KlyazmaRiver left bank. At one time sand, dolomite, red and blue clays had been extracted here. It is a vast flat pit. Its total length is more than 3 km with depth of 14 m and width of 0,4–0,5 km. The pit’s sides are very steep. These are rocky descents of about 10 m high and with ledges that deepen the pit. There are two or three such ledges in the central part of the pit. The bottom of the pit and the ledges is flat. There were roads. Valuable minerals still come up on banks and on slopes and in not grassed places. The reservoir is stocked by such species as trout, Chinese carp, mirror and blue carp, silver carp, pike, crucian carp and perch. 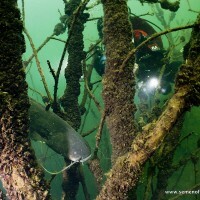 But the main heroes of ground part of a pit – catfish reaching the 2,5-meter size! 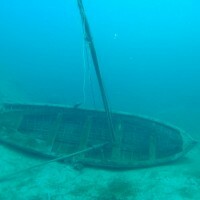 Dives are being arranged by the dive centre all the year round and in any weather. In the winter transparency of water reaches 20 meters. 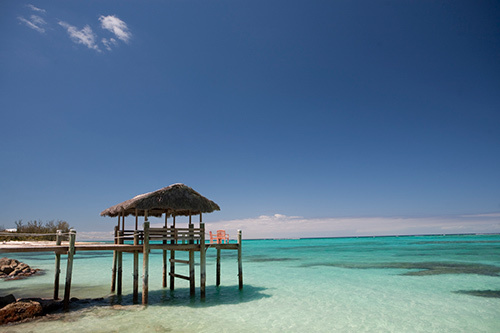 Favourable location makes this place even more popular and convenient for diving. Depths Its total length is more than 3 km with depth of 14 m and width of 0,4–0,5 km. Visibility transparency of water reaches 20 meters.